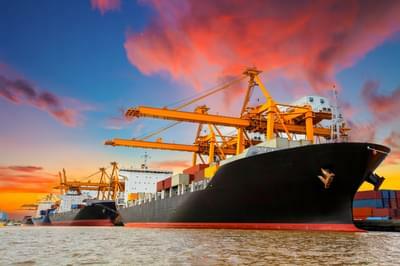 Freight Shipping Company: What accounts for $448 billion of GDP in the United States? The United States Department of Transportation’s Bureau of Transportation Statistics (BTS) says that in 2011, this was the contribution for-hire transportation made to the US economy, with the largest portion of that coming from trucking. In fact, truck transportation employs more than one and a half million people across the country. Freight Rate Central is committed to helping small companies, large companies and residential households with their shipping needs. FRC has developed a free, instant, online freight quoting system so anyone planning a shipment can get an immediate and upfront idea of the cost, based on real-time information. With our competitive rates, we are sure you’ll be pleasantly surprised. Here at the Freight Rate Central, we cover the majority of domestic routes and offer international shipments. We have coverage in all 50 states, which means we can ship your goods within the state, to neighboring states, cross country and even up into Canada or down to Mexico. Our most popular routes are cross-country routes and routes to major metropolitan areas like Los Angeles, New York City and Chicago. Freight companies are a critical part of the American economy. Without them, a number of industries would grind to a halt—most notably oil and gas, manufacturing, construction and agriculture. No big deal, right? It’s only the food we eat, the fuel we warm our houses with and pretty much all our necessities and creature comforts. We are able to cover every shipment type because our carriers’ fleets include pretty much every type of truck available, including flatbed rates, specialized trailers, lowboys, dry vans, power-only, stretch flatbed, double-drop and extendable double-drop trailers, trucks with sidekits, heavy haulers and most likely, exactly the type of truck you need for your freight. “During 2012, the US transportation system moved 54 million tons of freight every day, shifting an amazing array of goods valued at $48 billion. An ever-increasing amount of this freight was moved by the 10 million trucks currently on US roads. After the economic depression of 2008-2009, the freight industry has now recovered to levels above that of the 2007 peak, quite literally keeping America’s economy moving. The growth of freight companies across the USA means competition for business is high, so smart quoting, good advice and clever planning can all lower a company’s costs and help it get the best level of service available, whatever its freight trucking needs. Whether shipping goods interstate, overseas or using intermodal transport, FRC can provide an integrated logistics solution, liaising with suppliers to offer our customers the best prices and exactly the scheduling they need. As a logistics organization rather than a transportation supplier, FRC’s role is to make your freight shipping experience as simple and straightforward as possible. Whether you need help to find a truck for a last-minute delivery, a specialist service, or vehicle for an over-sized or refrigerated shipment, the team at FRC is here to help. You can call our friendly customer advisors at 855-372-7447 for advice on any aspect of shipping, packaging and delivery, or contact us instantly online. Our freight shipping services include the ability to transport your items by means of air cargo, full truckloads, LTL, intermodal, dry vans, refrigerated trucks, flatbed trucks and more. If needed, we’ll also find alternate means of transporting your items by road, air or sea. 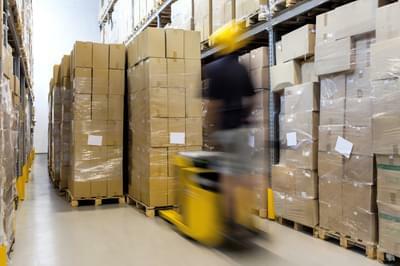 We believe that any item that needs to be shipped can be, and we can help you do it at an affordable price. The services we provide aren’t restricted to large companies or large requests. Whether you’re moving out of state, shipping a few boxes per week, or shipping several truckloads of products a day, Freight Rate Central can help. Not all freight companies are created equal. The volume of their shipments will determine the negotiating leverage they have with the carriers, and therefore the price they are able to offer their clients. The efficiency of their system is also a major factor. Here at Freight Rate Central, we pride ourselves on our efficiency, our excellent customer service and the volume of freight we are able to ship daily, as this empowers us to offer our customers the best rates in the business, even for LTL and partial truckload shipments. With the ability to ship using over 100 major carriers, we have the means to offer you a great shipping rate. To find out how much it would cost for you to get your load from one place to another, just consult our online quotation system. It’s completely free and you’ll get the results you need in seconds. Better still, you can alter your requirements to be sure you are not being charged for services you don’t need. Tailor our logistics service to fit your exact needs, and it will save you money and time that would have been spent chasing up individual freight companies for quotes. We’ll beat their prices by up to 75%, as well. Don’t pay too much for shipping. Give Freight Rate Central a try and discover what your company has been missing all along. You won’t be disappointed with our service, rates, or your overall experience. We are licensed by the FMCSA and bonded by Pacific Financial Association to ensure financial responsibility. Learn more about our freight company online, and don’t forget to claim your free freight quote!